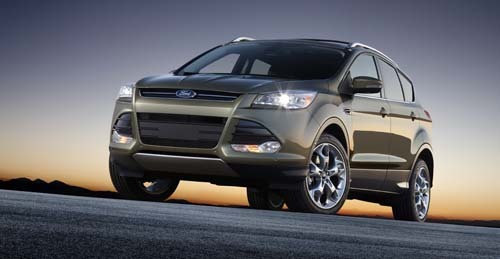 BRIGHTON, Mich. March 9, 2012 – The 2013 Ford Escape is getting the television spotlight in an all new reality T.V. show – “Escape Routes.” Escape Routes is a reality TV show about a road-trip competition with real-world challenges featuring 6 teams of two and is set to air on March 31st at 8:00 PM on NBC and Telemundo. This is very exciting for a couple of reasons. One being that the Escape gets its own TV show and also because Ford Motor Company is the first automaker to launch a new vehicle in a prime-time reality television show. 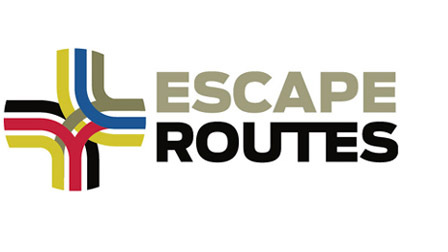 Escape Routes is six episodes long and will air for six consecutive weeks with TV personality Rossi Morreale hosting the show. Each team will be using their 2013 Escape on their adventures as they travel from LA to New York, Atlanta, Miami, San Francisco, and Las Vegas. Each stop will give the online followers a chance to engage with the teams and will feature local culture. The winning team will win a grand prize of $100,000 and a pair of brand new 2013 Ford Escapes. · Bre and Tara - best friends and soulmates from Boulder, CO.
· Iris and Terrence – best friends from L.A.
· Brett and Ross - two “YouTubers” from L.A.
· Tiffany and Chekesha – two models from New York, selected by online voters. There is also a chance for you to win from home. You can interact with the teams and participate at escaperoutes.com for a chance to win trips, high-tech gadgets, and even a brand new 2013 Escape while you play from home. If you miss any episodes the night they air you can watch them online the day after they air at NBC.com or on mun2.tv. Even if reality TV isn’t your thing you should tune in to check out the new 2013 Ford Escape in action!